I don't know if all homeschoolers worry, but I know I do. Something about taking the road less traveled makes it feel inherently risky, even though I know without a doubt that the well-worn path was not the right road for us. With homeschooling, there is no one else to blame if your children are uneducated or not successful. You can't point your finger at the local school system or a "bad" teacher. It's all you, and the choices you've made. The internet and social media is both a blessing and a curse for homeschoolers: A blessing because you can reap the collective wisdom of many homeschoolers and know you are not alone; a curse because you can see all the things the "perfect" homeschoolers are doing and know you don't measure up - not even on your best day. I admire mothers who have children who have completed homeschooling and gone on to do well in high school and/or college and/or adult life. They can breathe a sigh of relief. Somehow, even if they made some missteps along the way, they did it right. They succeeded. When you are in the midst of the journey, there is no guarantee you will successfully reach the destination. It is just one step at a time, taken with prayer and hope. Unlike a lot of homeschoolers, I don't adhere to a formal curriculum. I'm eclectic, picking from here and there. I standardize test the kids in math and English so those subjects are more formal. With the others, I'm more unschoolish. I'm certainly not a true unschooler in that we follow a schedule and I make them do all the subjects, but they have a great deal more freedom in what they study for them. I let them follow their interests. The library is our best friend. We use iPad apps and watch YouTube videos. "School" probably takes 2 - 3 hours a day, four days a week. The rest of the time, they pursue their own interests. I want them to be invested in what they are learning, instead of learning for a test and then promptly forgetting the information. It works for us. One of the hardest things about parenting is wondering where your child's place is in the world. Will your child be able to find meaningful work and contribute to society? For those who are parents of a child with special needs, that question becomes all the more acute. My son is pretty high functioning on the autism spectrum, and for that I am thankful. Maybe 90% of the time he can pass for neuro-typical, a.k.a. "normal," until he can't, at which point it all goes downhill very quickly. That 10% of the time definitely presents an issue. In addition, he has very real learning challenges. And so I wonder, what will he do with his life? His plans at the moment involve living in our basement on a permanent basis (Aspies are not big fans of change), and I'm OK with that, but I keep telling him he needs to have a job while he's living there. But, what can he do? That's the question that remains to be answered. For that reason, I hope the NonPareil Institute, and places like it, succeed and expand. Dan Selec had been thinking about his son's future for a long time. Having a child on the autism spectrum, he asked the same question so many parents ask; "What happens when my son grows up? What is out there that can help him today, in a practical and predictable way?" Dan recognized the interest, ability and passion many like his son seemed to display, especially in regard to PC’s and game consoles. If this passion could be harnessed in the form of technical ability, an entirely new method of communication, expression and productivity would be possible. The culmination of Dan's thoughts resulted in the foundational nonPareil whitepaper, Technical Training for the Autistic Mind written in July 2008. Gary’s efforts during this time were largely directed at building a network of supporters, partners and donors to help fund the young, fledgling company, as well as finding a location for nonPareils’ first training center. Through a mutual friend, an introduction was made to the Executive Director of the Guildhall at SMU-in-Plano, which led to a meeting with the Campus Director to consider space for nonPareil. The culmination of the efforts of this team resulted in the opening of the first full-time nonPareil operation on the campus of SMU-in-Plano in September 2010. This site, which opened with 8 students, quickly grew to 52 students in the first 8 months. One year later more space was acquired, and the program grew to over 80 students. The program now has over 130 active Crewmembers. Today, 5 of our students are full-time employees of the company, with 25 other students being part-time staff. As of October 2013, we have 5 apps in the iTunes store, and 4 in the Android store, as well as many free to play maps and campaigns for various popular games. Students have moved from around the country to enroll in this leading edge, ground-breaking, practical solution for adults with autism spectrum disorder which includes technical training, work, and eventually, a residential campus. 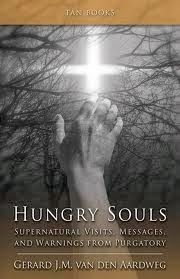 I’ve wanted to read HungrySouls: Supernatural Visits, Messages, and Warnings from Purgatory by Dr. Gerard J.M. van den Aardweg for quite some time. I was therefore very excited to see that someone had generously donated it to our Parish Library. I read it in one afternoon and my enthusiasm to read this book was not disappointed. I’ve had an interest in the after-life and what has been revealed about it for a long time. Even as a young girl, I was familiar with the stories of near-death experiences, plus I was steeped in the Catholic teachings of heaven, hell and purgatory. What comes after this life, which by comparison is but a blink of an eye compared to eternity? I have read many books about near-death experiences and the difficulties inherent in describing a reality that we earthbound humans don’t have words to convey. Many describe an incredibly positive experience, filled with pure love and light and colors and music more vibrant than any we have ever experienced. Others describe meeting with long-lost loved ones who appear in the prime of their lives – young and filled with joy. Still others have encounters with children lost through miscarriage who have continued to grow on the other side of eternity. One can presume that these individuals were privileged to have a glimpse of heaven. Others, not so fortunate, have experienced darkness and hate and pain. They saw a vision of hell and were blessed enough to be sent back to have a chance to redeem their lives. But what about purgatory? Saints such as St. Faustina, St. Catherine of Genoa, and St. Padre Pio have seen visions of purgatory and/or been visited by souls in purgatory, so I knew that it was real. I’ve heard it described as both intense pain, due to the purgation of sin, and intense pleasure, due to one’s knowing one was definitely going to heaven. I also knew it is important to pray for those in purgatory in order to help alleviate those souls’ suffering. Still, I always wondered, why do none of those who come back from the dead ever speak of purgatory? Hungry Souls answers that question and many more. It shares the stories of many individuals who have encountered souls in purgatory, who have been allowed by God to visit earth and ask for prayers and sacrifices. These souls describe getting to see heaven and then being sent to a time of purgation. Part of the pain of purgatory is knowing the beauty of heaven and having to wait to return there. Those who have near-death experiences and return to this life never reach that point. They only have the initial contact with heaven. Meanwhile, purgatory has several levels that souls pass through depending on how much purification the soul requires. Those farthest away from heaven are in the most pain, while those closest experience great joy. These souls can also be helped immensely by our prayers and sacrifices offered for them. We must not forget those who have died before us. In turn, these souls can help us on our earthly journey as well. Many of those who have had visits from souls in purgatory have tangible evidence of that fact. Hungry Souls includes photographs of other-worldly burn marks that have been left by these souls on prayer books and clothing. Some people even have burn marks where they themselves were touched by these souls. I can’t recommend this book enough. Purgatory is real, and we should live our lives in such a manner as to try to avoid it, while at the same time, offering prayers and sacrifice for those who are currently in that state. God wants to pour out His mercy on humanity, but we need to ask for it, for ourselves, and for those who have gone before. A Subtle Grace is the sequel to Ellen Gable's well-received In Name Only, but one need not have read the original to enjoy this suspenseful romance. Set in the late 1890s, the story focuses on Kathleen O'Donovan, the eldest daughter of David and Caroline O'Donovan. She is nineteen, about to start training to be a nurse, and eager to find a husband. She has prayed to St. Agnes for a suitable man, but so far her prayers have reaped no rewards. When Karl Wagner, the incredibly handsome son of the local police chief, shows an interest in her, she is beyond happy. Meanwhile, Dr. Luke Peterson is the new doctor in town, a mild-mannered man who takes Kathleen under his wing as a medical assistant. Will Karl be all Kathleen hopes he will be? Will her relationship with Luke grow to something more? With A Subtle Grace, Gable once again has crafted an engaging story you will want to read if you are a fan of Catholic suspense or romance. 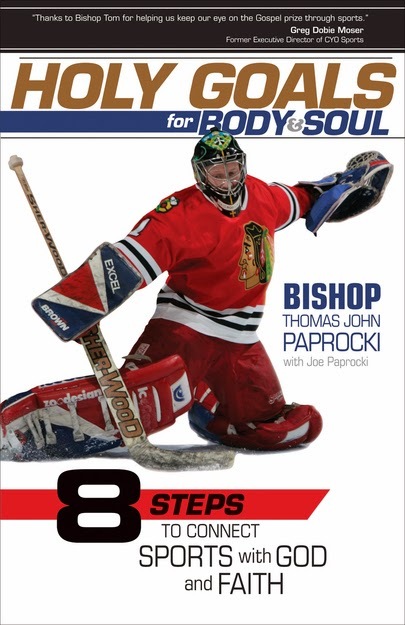 Bishop Thomas John Paprocki of Springfield, Illinois, is a hockey-playing, marathon-running bishop known as the “Holy Goalie” by those he plays hockey with. In keeping with the Ignatian idea of “finding God in all things,” he wrote Holy Goals for Body and Soul to inspire teens and young adults to find the spiritual in the world of sports. Bishop Paprocki focuses on eight key lessons that can be learned from sports and applied to life and one’s relationship with God: overcoming fear, dealing with frustration, coping with failure, developing fortitude, cultivating faith, valuing family, forging friendships, and having fun. Writing in a conversational style, Paprocki shares stories from his own experiences as well as inspirational stories about others. He offers concrete advice for living a faith-filled life while taking care of one’s body at the same time. While this book is geared towards young people, those a little further along life’s path, especially those who are athletes, will appreciate the lessons as well. Mass, Community Prayer, Eucharistic Adoration, Silent Retreat Day, Conferences, Apostolate Experiences, Sacred Triduum, and Easter Celebration. We must refer every good to the most high supreme God, acknowledging that all good belongs to him; and we must thank Him for it, because all good comes from Him. May the most supreme and high and only true God receive and have and be paid all honor and reverence, all praise and blessing, all thanks and all glory, for to Him belongs all good and no one is good but only God (Lk. 18:19). The new line of Pauline Teen Books by Pauline Media promises to bring young people stories that “make you laugh – and sometimes cry, make you think and help you dream, and let you explore the real world.” If a.k.a. Genius by Marilee Haynes is any indication, this line of books is off to an incredible start. 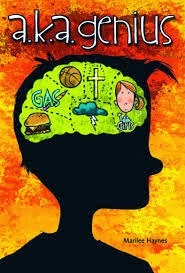 Haynes tells the story of Gabe, a student at St. Jude Middle School who has just found out that, according to test results, he is supposed to be a genius. There are a few problems with this –his second-best friend Maya is supposed to be the smartest kid in school and doesn’t take kindly to being upstaged, he can’t even get his locker open, and his father would much rather he be good in sports than good in school. Meanwhile, he is asked to tutor Becca, a girl he likes so much he can barely speak in her presence, and his best friend Linc is trying to “woo” (his words) a girl named Rachel. There is a lot going on in the mind of a middle-school boy. Gabe, Maya, Linc, Rachel and a few other students all end up in a class for gifted students, nicknamed the G.A.S. class. Taught by a very cool Sister Stevie, the class is preparing to take part in an academic Olympics competition. Haynes has made a great splash with this debut novel. Unlike so many books in the Catholic Fiction genre, a.k.a. Genius is a story about real middle-school kids with real middle-school problems. While filled with elements of the Catholic faith, it isn’t overly pious or preachy. This is a book middle-schoolers would actually want to read, and laugh out loud while they are doing it. It is a Catholic “Diary of a Wimpy Kid” without the accompanying comics. A.k.a. Genius will make readers laugh and cry and teaches an important lesson about self-acceptance in the process. There are many books I have enjoyed, but there are only a handful of stories that I consider “awesome.” A.k.a. Genius is one of those books. Lent is a wonderful time to return to the Sacrament of Reconciliation (a.k.a. Confession), especially if you haven't been in a while. Martin Sheen writes about returning to confession after a dozen years away in his new book, written with his son Emilio Estevez, Along the Way: A Journey of a Father and Son. I left the confessional booth and sat down in a pew to reflect. I had just confessed the whole truth about the past dozen years of my life, and absolution was graciously granted without hesitation or judgment. Gradually, an overwhelming sense of freedom and familiarity consumed my whole being. I had returned whence I come. I imagined the Prodigal Son might have felt the same way when, as the Gospel parable tells us, he returned from his wayward travels rehearsing lines of apology, only to be greeted by a father who loved him so unconditionally the son was welcomed with open arms, no questions asked, and no judgment passed. I'd just taken the first step of a long, complex spiritual journey that would change my life. But I wasn't focused on the future now, only on this transcendent moment. Sitting alone in that church I began to weep uncontrollably with tears of sheer joy. Here in Massachusetts, spring has been slow in coming. We have had a couple warm days, but they have been surrounded by cold, cold, and more cold, and snow still covers much of the ground. Usually by this time, I at least have some daffodils pushing through the earth and reaching for the sun. This year, they are still firmly under cover. Yet, the promise of spring is there. It will come. According to a Christian understanding of history, we live always in the in-between time. Jesus’ incarnation, ministry, death, and resurrection revealed how the kingdom of God is dawning, but 2,000 (often bloody) years later, the kingdom hasn’t yet fully flowered, and it won’t until the end of time.. . . When we tend it with care or leave it undisturbed, the natural world preaches the same message. Through seasons and cycles, nature moves toward a better future of cleaner air and water, deeper topsoil, and beautifully diverse, abundant forms of life. At the same time, there’s also a dark thread of suffering and ambiguity woven into God’s growing, evolving creation. Taking that seriously, yet still trusting in God’s unfolding promise, marks an important difference between Christian hope and mere optimism. This kind of gritty, realistic hope survives by daily, practical acts. In the in-between time, we pray; we plant trees and gardens; we care for children and parents and the poor; we invest our time and talents in our communities; we work for justice. Like a good storyteller, God keeps us in suspense about how things will turn out. But since God is a good storyteller, we can trust that it’s all worth it. In Therese, Faustina, and Bernadette: Three Saints who Challenged My Faith, Gave Me Hope, and Taught Me How to Love, Ficocelli shares the stories of these three saints as well as the way that they have shaped and influenced her own life. 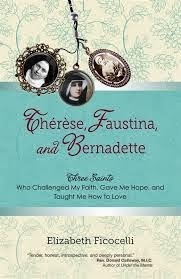 Saints Therese, Faustina, and Bernadette have much in common. “Each had a passion for saving sinners and rescuing souls, a fear of losing God’s friendship, a dedication to a Gospel-based path to holiness, and a total abandonment to the will of God . . . They suffered spiritual dark nights of the souls . . . [and] each went through a physical passion of sorts during a slow and agonizing death.” For Ficocelli, and for us, they serve as spiritual guides and friends to help us through the challenges of being a modern woman. Each one of the saints also has a particular virtue that she can teach us about. St. Therese and her little way is a master of Love; St. Faustina with her message of divine mercy is a vision of Hope; and St. Bernadette, the visionary of Fatima, is a great example of Faith. We can learn a great deal about how to live a holy faith from these three women’s example. For those not familiar with these saints, Therese, Faustina, and Bernadette provides a wonderful introduction to these heavenly helpers. For those already acquainted, it provides an opportunity to reflect more deeply on their lives, their example, and the lessons that they have to teach us. The appendix includes reflection questions for use as an individual or as part of a book group.